If you’re reading this, there’s a good chance that you either love gardening or fresh Tex-Mex. Even better if it’s both! Here at Salsarita’s, we are huge advocates for fresh food. Our salsas are made in-house every morning using whole produce, our guacamole is hand mashed with ripe avocados, and our salads are made using only ripe, crisp lettuce! Since we are in the kitchen all day, every day, we wanted to make it even easier to get Salsarita’s-caliber fresh food right in your own backyard! Planting your own garden can be both time consuming and rewarding. In one hand, you’re spending a lot of time gardening, on the other hand, you’re growing fresh vegetables right at home. 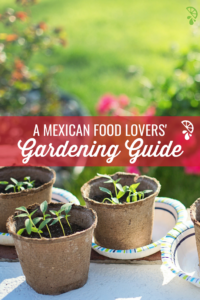 We gathered our favorite staples for almost every traditional Tex-Mex recipe and made this ultimate guide to gardening for Mexican food lovers! To reap the best harvest from your garden, you need to set your vegetables up for success before they’re even planted. The quality of your soil will be the biggest factor in whether your crops will have a good yield. Things like the right pH, the amount of organic matter, drainage, and minerals will all be big factors. If you want to try using the soil in your backyard, here’s a great article on creating the perfect organic mix. Now comes the fun part, picking the produce! While we compiled a list of our favorite fruits & vegetables based on traditional Mexican food recipes, it’s important to pick them based on your region and growing zone. Check your region’s hardiness zone here. There is no salsa without tomatoes! Perhaps the most popular home-grown vegetable in the country, the tomato is a great starter vegetable. You can pick up a mature plant at most home improvement stores or you can start seeds from scratch. Either way, tomatoes love full sun and warm weather. They tend to grow rather quickly so a common strategy is to ‘cage’ them with chicken wire or wire mesh. You can plant any store-bought tomato transplant well after the last frost in spring. Dig your hole half a foot deeper than the original pot depth and trim the bottom leaves from the plant before planting. Water generously once planted in the soil. Once established, tomatoes require consistent watering and adding mulch around the base of the plant can help retain the moisture in the soil. When the plant bears fruit, they are easily removed from the vine. Be sure not to break the main stems when pulling off the fresh tomatoes. Some enjoy green tomatoes as is, but you can still ripen green tomatoes by letting them sit at room temperature on your counter or table! 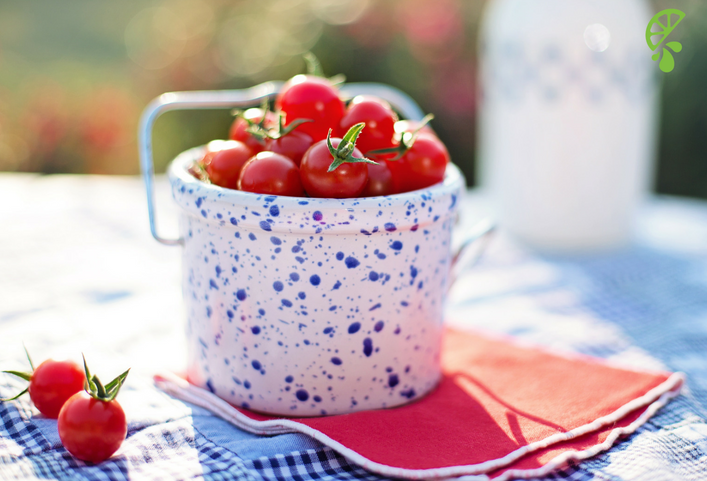 For more tips and tricks, here’s 10 Tips for Growing Great Tomatoes. If there’s any reason to hate Mexican food (we can’t find any) most people will cite this one: cilantro. It’s used in millions of recipes so even if tacos aren’t in the menu, this leafy herb will still get put to good use. Just like tomatillos, cilantro is relatively easy to take care of with just a few steps. Plant in a pot with good soil (seeing a trend yet?) in early spring or late summer/fall. It’s better to grow straight from seeds rather than picking up a mature plant at your local gardening store because they don’t transplant too well. While they don’t need constant feeding or watering like corn, they do need partial shade. 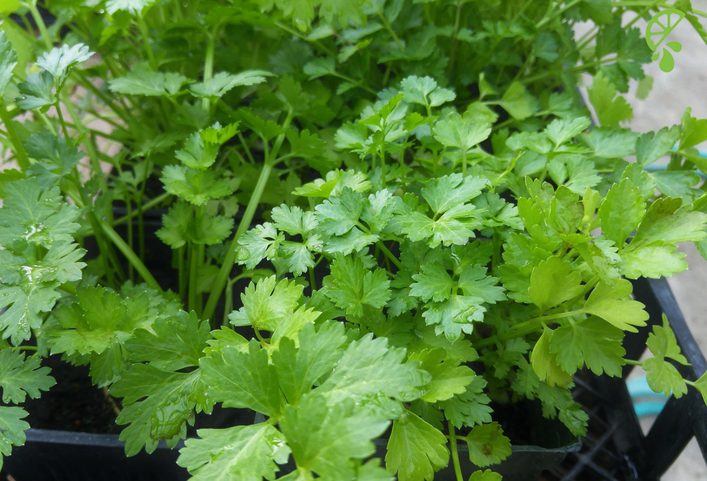 Pack a couple of cilantro seedlings in the same pot. As long as you cut the leaves once they get to be about 3 inches, they’ll keep coming back for weeks of fresh cilantro. All that’s left is to lightly wash, chop, and toss on top of your favorite dishes! You may hate cutting them, but you’ll love growing them. Onions are pretty hardy when it comes to climate. Plant them in the early spring but still be mindful of frost. Onions love full sun and you guessed it, rich organic soil. Keep your hole rather shallow when planting and space each onion about a foot apart. Fertilize with nitrogen fertilizer every few weeks but be careful not to overdo it. They typically don’t need much water (around 1 inch per week) but the more water you give them, the sweeter they’ll be! According to the Farmer’s Almanac: “When onions start to mature, the tops (foliage) become yellow and begin to fall over. At that point, bend the tops down or even stomp on them to speed the final ripening process.” Once the tops of the plants have browned, you can pull them from the soil. (Carefully!) Leave the onions on the ground for a few days for the plant to cure and then store in a chilly space. Read more tips on how to store them here. While tomatillos are the underdog, peppers are the MVP. Peppers are used in almost every single Tex-Mex recipe out there. 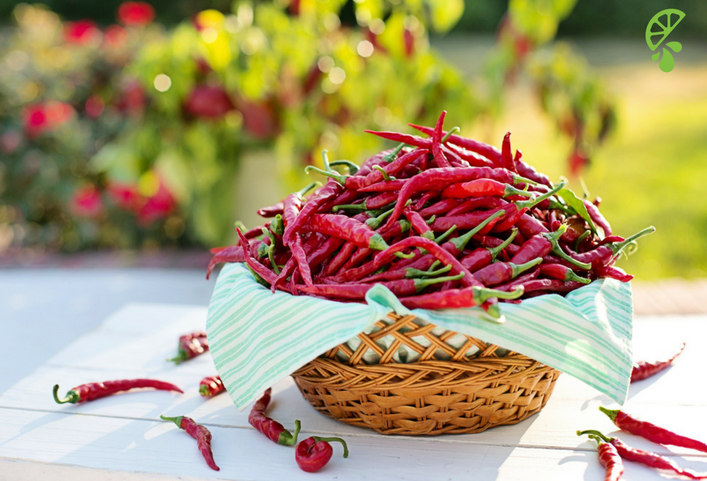 From jalapenos and bell papers to cayenne and banana peppers, all varieties can be easily planted and grown in almost any backyard. Pick a sunny and spacious area with proper drainage. It’s important to have nutrient rich soil so pick a place where no past vegetation has grown (especially other peppers). 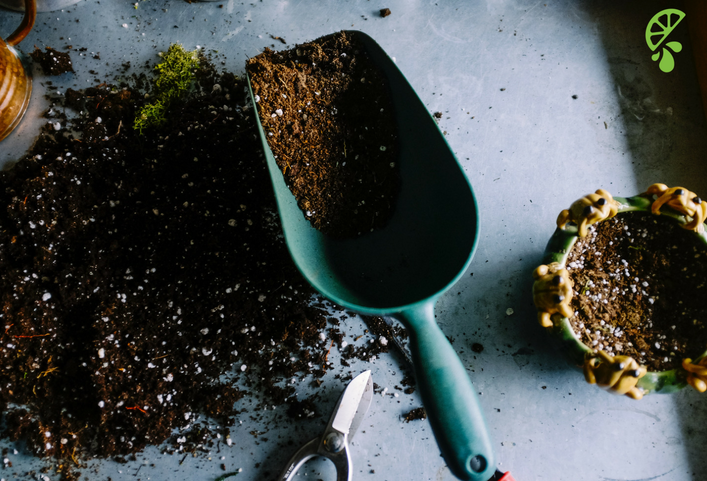 Use a generous amount of compost to get those much-needed nutrients back into your yard! 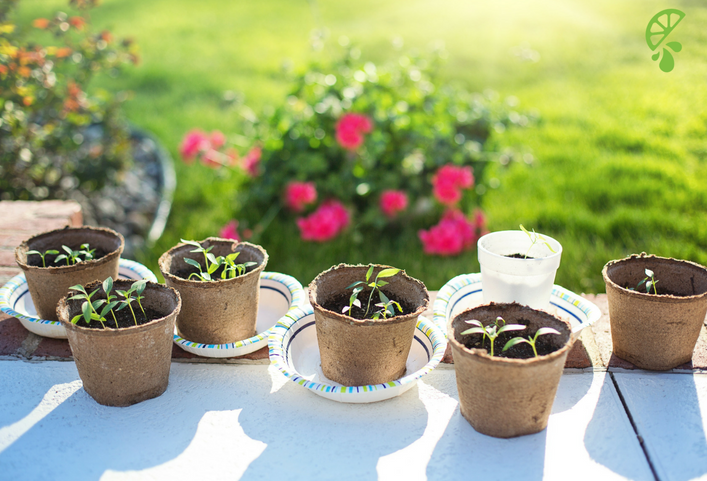 Peppers prefer warmer temperatures so start your seedlings inside and gradually introduce them to the climate and soil well into the warm spring. Water them at least once a week or if you’re in a drier area, water enough to keep the soil slightly moist. When your peppers begin to bloom, cut the first flowers using hand pruners. This will encourage the peppers to fruit faster and more often! When they finally do bear fruit, use the hand pruners to carefully remove them from the plant. 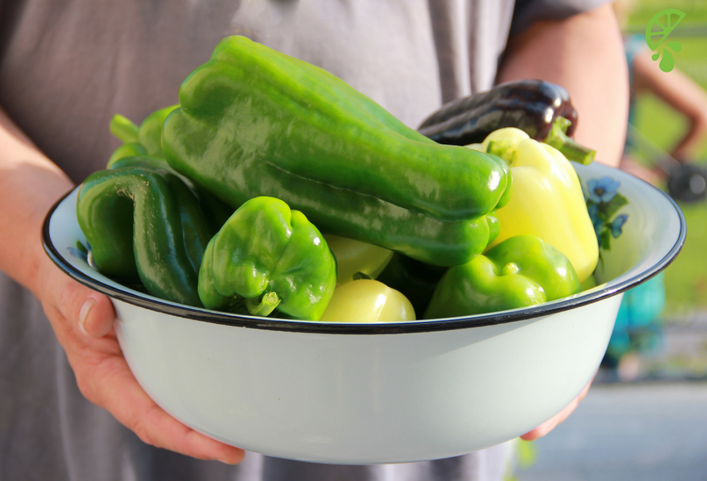 Some peppers taste sweeter the longer you leave them on, so pick according to your specific type and preference! For all the details and more, check out this article via Good Housekeeping. Citrus!? Okay before you stop reading, hear us out. 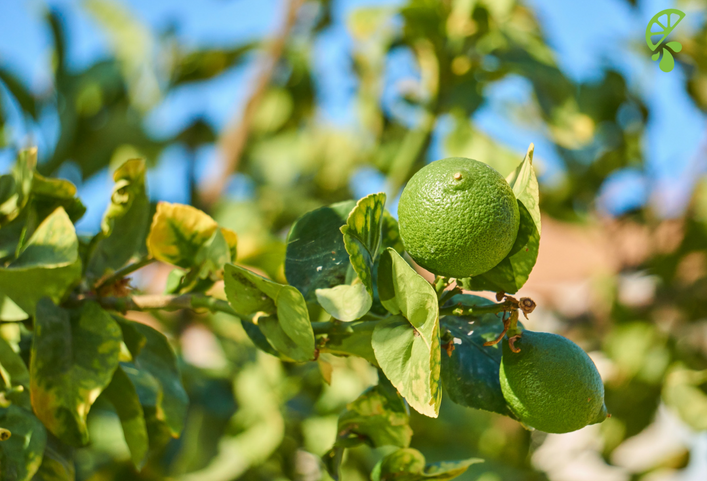 It is possible to grow citrus trees outside of the Sunshine State but it’s not for the faint of heart. Planting citrus trees can absolutely be done indoors given the trees are kept warm and allowed plenty of light during the winter months but moved outside (not transplanted) in the summer months. Picking the right soil is paramount. Ensuring that the soil has plenty of room to drain is also key. Once you have a small but deep pot to plan your tree in, keep it close to a natural light source. Water sparingly during the winter months as the plant sits dormant but in the summer, you’ll want to water them every day. Get the full details and how-to thanks to Modern Farmer. The American staple is used in all kinds of Mexican dishes and doesn’t have to be just for farmers. You too can grow this cash crop in your own backyard, if you have enough space that is. There are many different types of corn so be sure to research the kind you’re wanting to plant. Some are sweeter than others but for fresh corn salsa, the sweeter the better! Frost is the most common way to kill corn, so make sure you start your seeds well after the last frost date. Ideally, the soil should be around 60 degrees and your plot should be in full sun with any wind protection you can provide. Since corn is an aggressive feeder, nitrogen fertilizer and compost will be beneficial. As a rule of thumb, 20 to 30lbs of compost should be added per 100sqft. Make sure the area you’re planting in is free of weeds as young corn can’t compete with weeds and other plants. Be mindful of pests or insects as well. As for watering, stick to the 1 inch per week rule and don’t skip a week! Water is crucial to pollination, and if your crop isn’t getting enough, your corn won’t sprout kernels. Stick to watering the plant at its base to avoid washing off any pollination that has occurred. Once the corn silks make an appearance, wait a few weeks to harvest. To test for ripeness, pull back the husk and pierce a kernel. If it’s juicy, it’s ripe! If it’s hard or dry, it’s either past the prime ripeness or still too early. Want all the details? Check out this article via Good Housekeeping. We sure do love avocados but there’s a reason the best ones come from Southern California and Mexico. These delightful little fruits (yes, they’re technically fruits) need ample warm sunshine and humidity. Since our current Salsarita’s locations aren’t in either one of those qualifying areas, we’ll leave these guys out. However, if you want to truck on and attempt to grow your own, check out this link for more details. The underdog of all Mexican food is the little tomatillo. We already confessed our love for these green cousins of the tomatoes when we found out they have cancer fighting properties but as it turns out, they make a super simple dinner too! If you want to try growing these at home, you’re in luck as tomatillos are pretty easy to care for. You can buy mature plants at most gardening centers or start your seeds inside about 3 months before the last frost of the season. An important fact to note: Tomatillos need a buddy to bear fruit. That’s right, you’ll need at least two plants to produce any ripe tomatillos. They love lots of sun, rich soil with good drainage and a few feet of space in between each plant. They don’t do well in soggy soil so be careful not to overwater. Once the plant bears fruit, you can carefully pick from the plant, pull off the papery husk, and head straight to the pot to make some amazing salsa verde. There are countless other fresh vegetables, herbs, and fruit that you can also plant but we picked the main ones we use in our everyday dishes here at Salsarita’s! Now that you’re ready to have your own backyard garden, get inspired with our favorite recipes from Pinterest. Follow our recipes board for things to try at home with your fresh veggies! We’d love to see what you’re making! Be sure to tag us with #Salsaritas so you can get FRESH with us!